People are funny. Especially car people. We seem to have a connection or bond with our vehicles, and those who don’t, can’t understand why we obsess over imperfections in these material necessities. We can blame it on our fathers or grandfathers, childhood memories, the smell of fuel. The noise, or the exhilaration of acceleration. Perhaps it’s just the need to be clean, or the need to feel like we take the best care of the things that we work so hard for, and the satisfaction we get when others admire how we keep our stuff. Our peace goes out the window when someone or something violates our property and space. Most cars and trucks on the road will experience some sort of accidental dent, door ding or shopping cart ding at some time in its life. I’ve seen cars from the 1920’s through the current year models, and everything in between. If we think there is a good chance of greatly improving or completely removing a dent in your automobile, then we're up for the job. 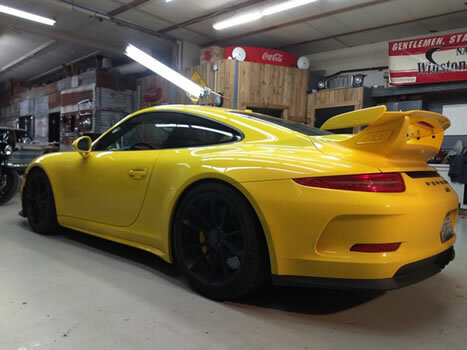 We do offer mobile services during certain times of the year, but most private party repairs are done here at our shop. I can take you in earlier and get you done quicker if you bring the vehicle to me. Our schedule seems to get busier each and every year as our reputation and referrals grow. We can get you in and out of the shop, usually within an hour if you’ve got just a few minor dents. For the larger jobs, we may ask if we can keep the car for a majority of the day. The best thing to do is give us a call and let us know what you’d like to fix. 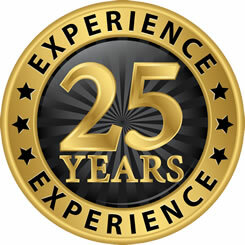 For 24 years, I had done primarily dent repairs in automobiles. Once in a while I’ll get an old hub cap that needs help, and there’s been a number of requests to fix dents in refrigerator doors! 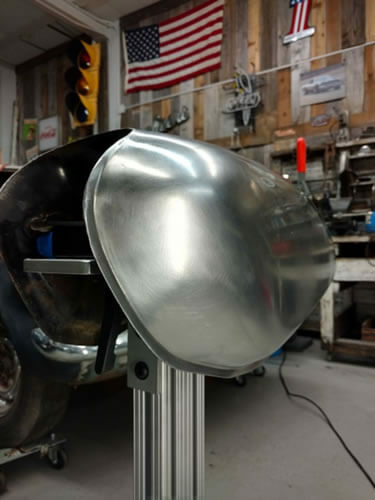 Motorcycles are another obsession for us and many others, but the fuel tanks were difficult to access and repair….. Until now. For years, I have received calls and requests about repairing dents in tanks. Most often I would have to tell the bike owner that I just couldn't access the dent safely, and there just wasn't a way to get it done...Until NOW!! 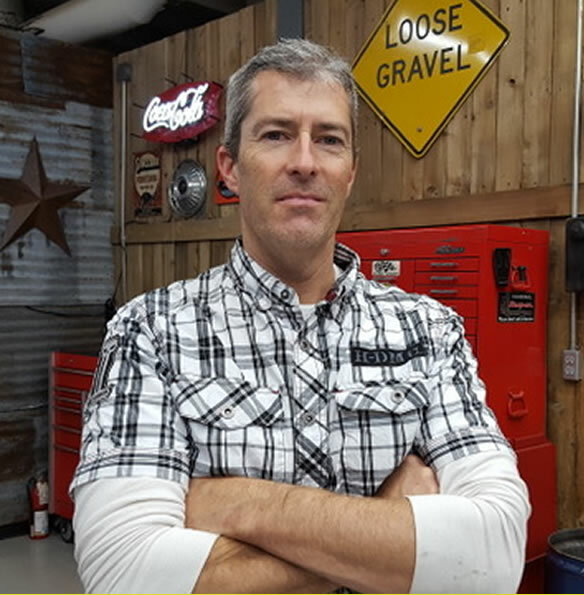 In 2016, I was introduced to an amazing PDR tool fabricator, and he recommended I speak with a man in California about a new motorcycle tank mounting system. This new system would allow me to take any tank, especially our beloved HARLEY-DAVIDSON tanks, and secure it in a way that I can gain access and the necessary leverages to work those unacceptable dents in our tanks! Obviously, this does require that the tank be off the bike, so winter time is a prime season to get this done. I can usually have the job done in one day, just in case a nice day comes along and you want to get it back on your bike and get in a good ride. It's best to give me a call, and text or email me a picture of the dent in your tank. I can determine if it's a good candidate for a paintless method. If so, yank that tank off your bike and bring it in. I'll get it done, and you'll be happy once again with your ride.